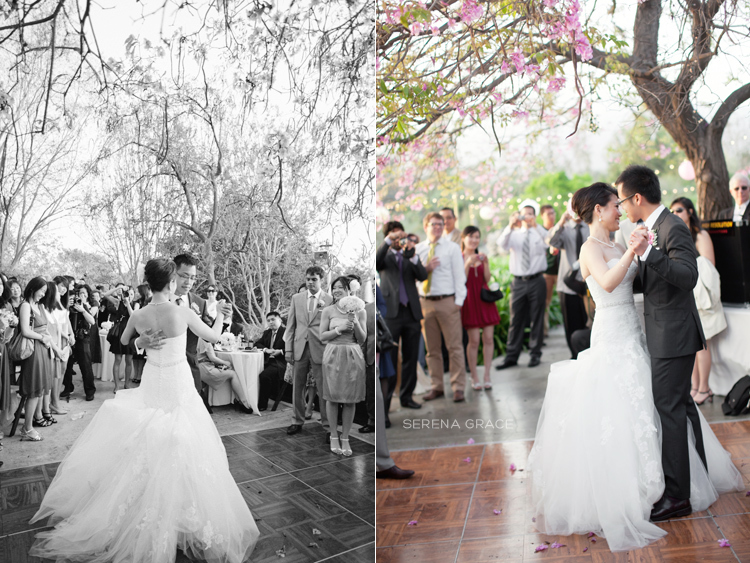 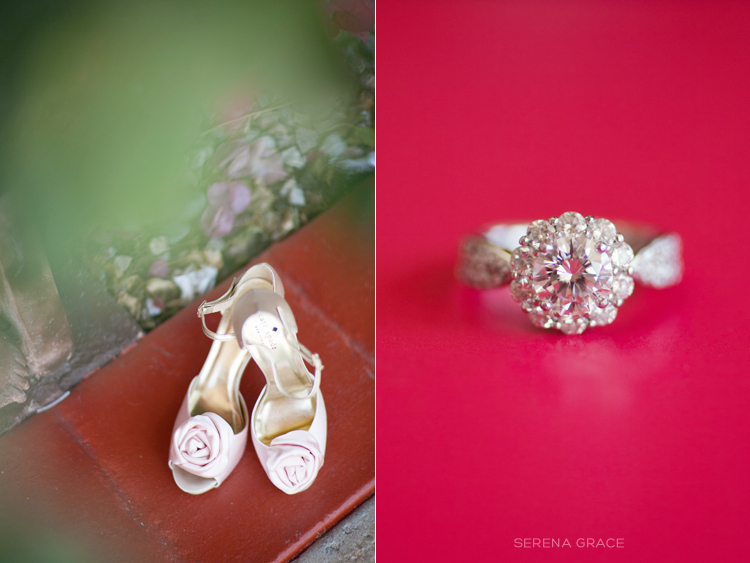 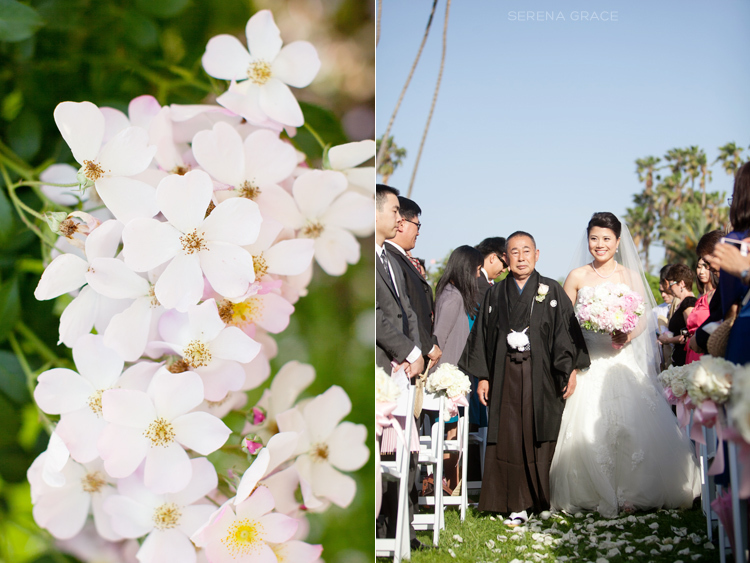 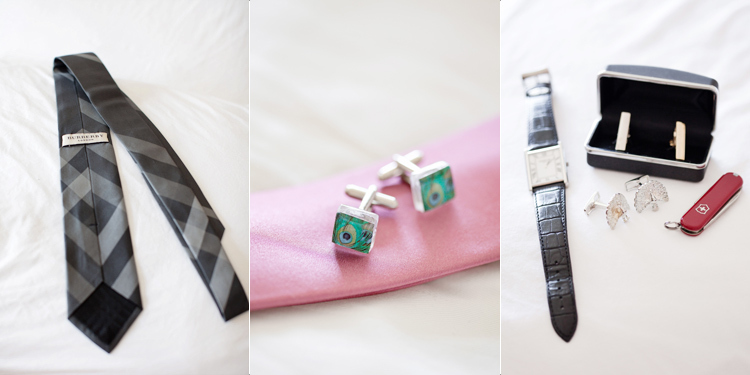 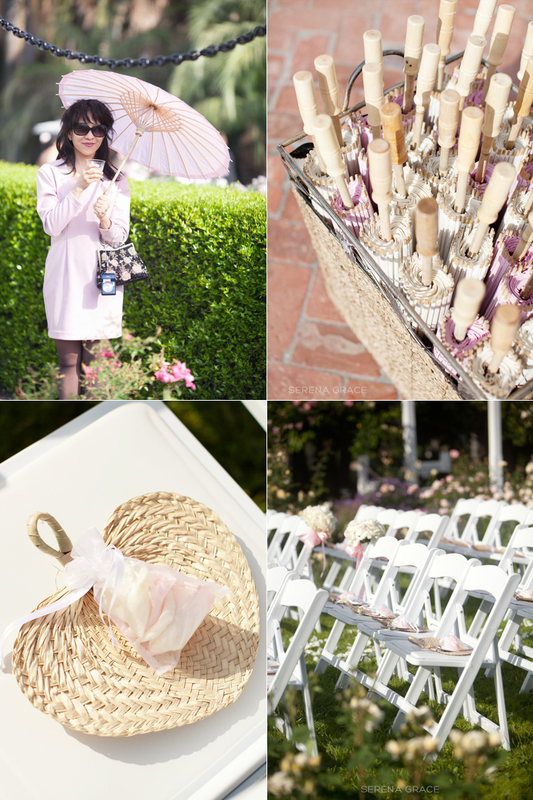 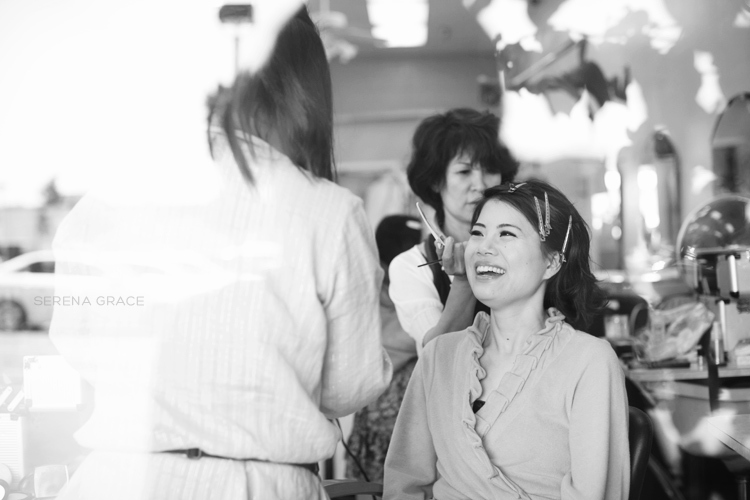 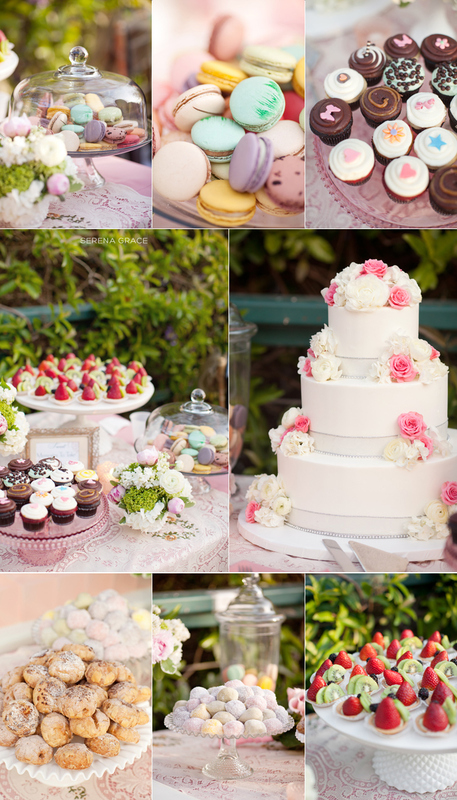 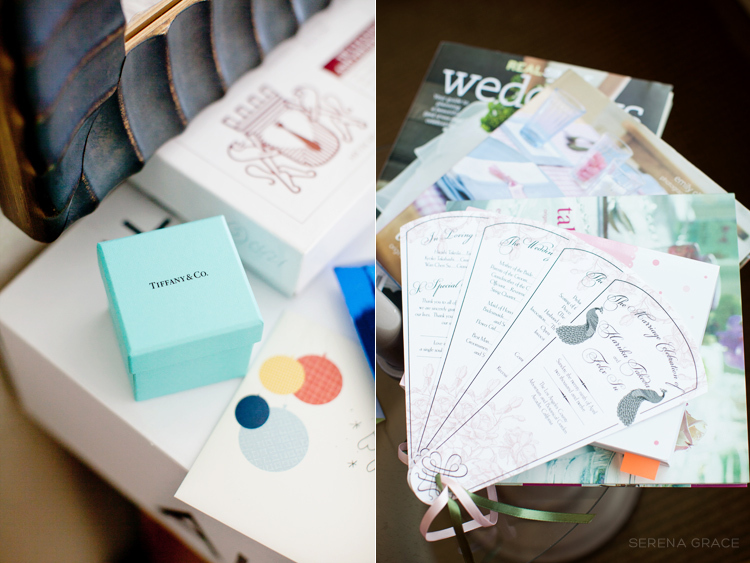 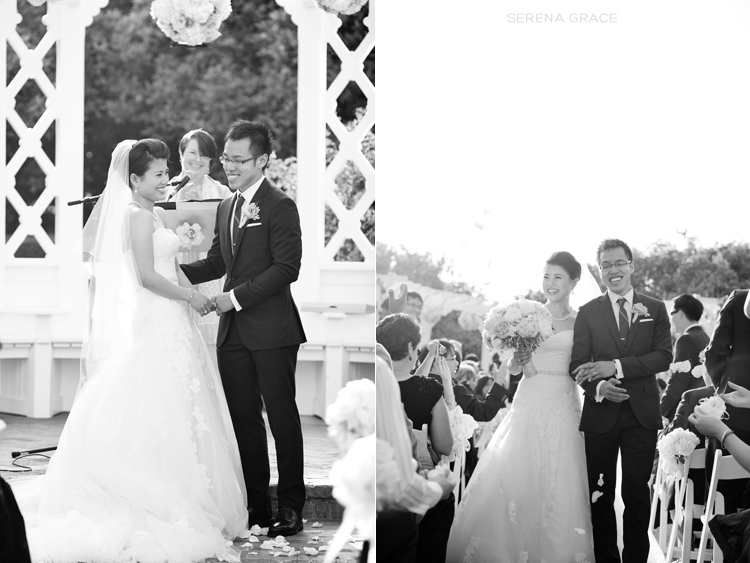 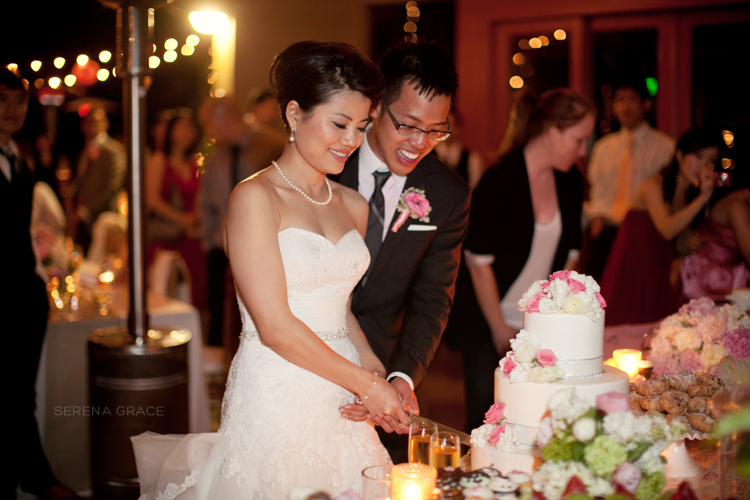 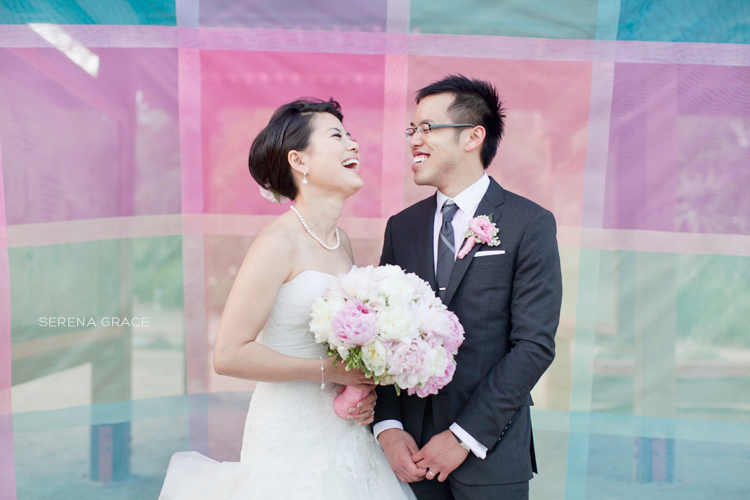 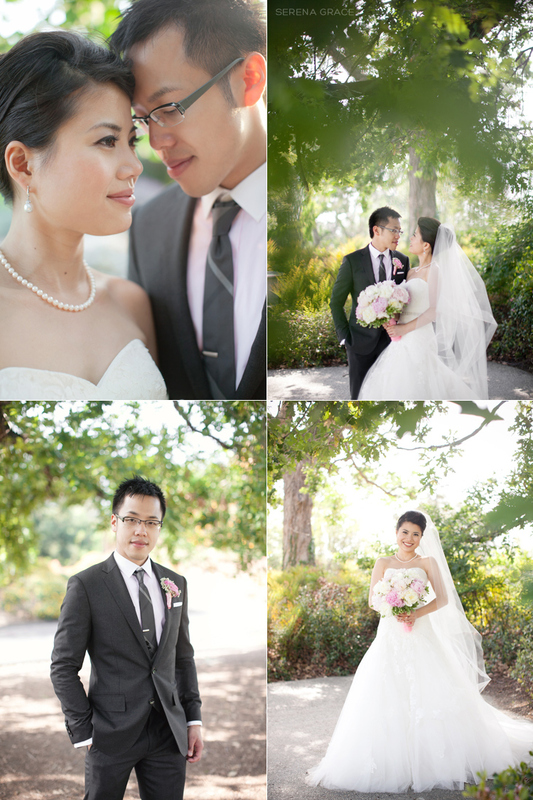 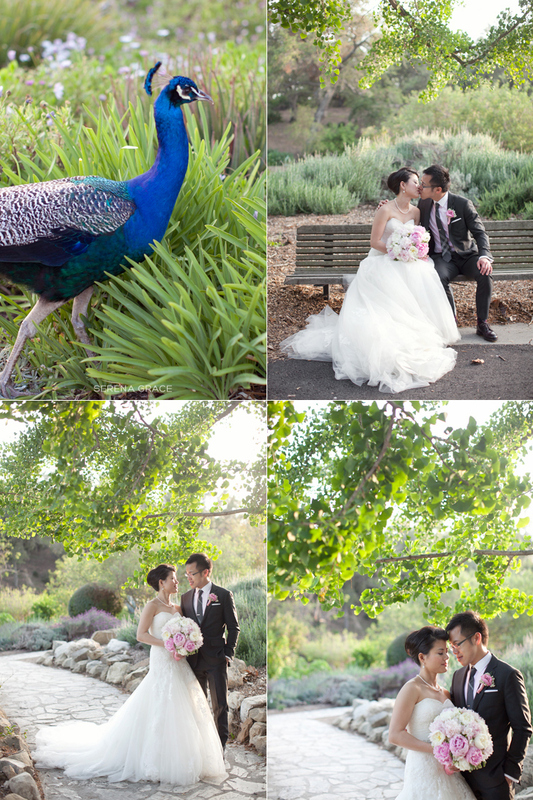 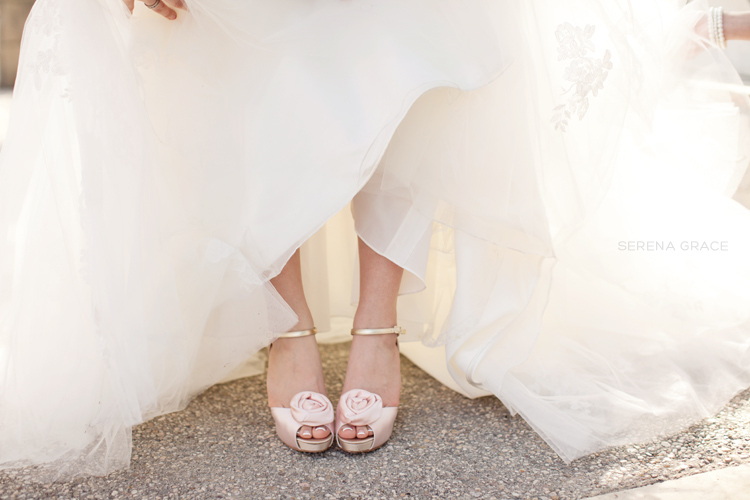 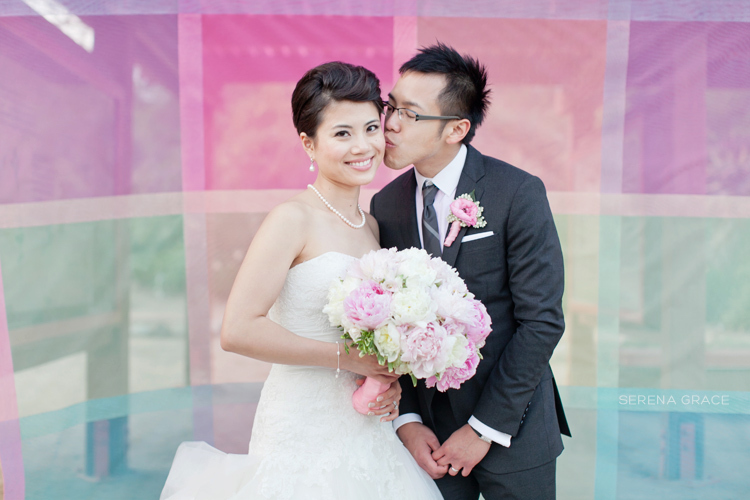 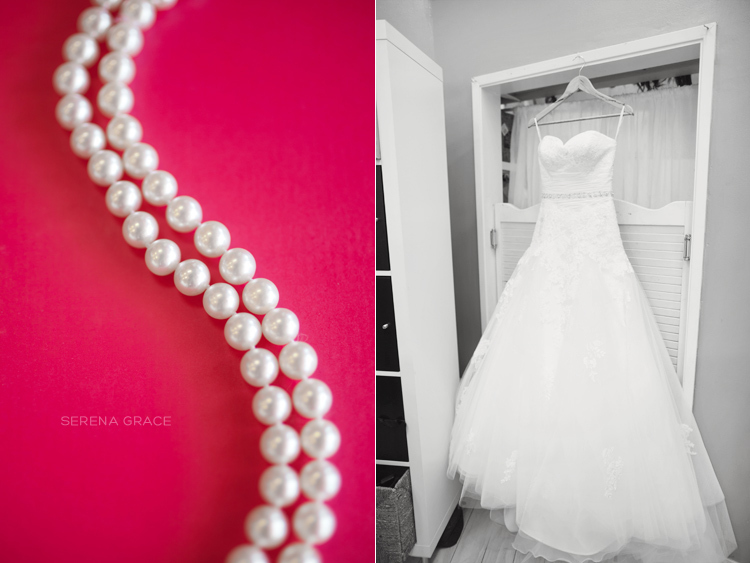 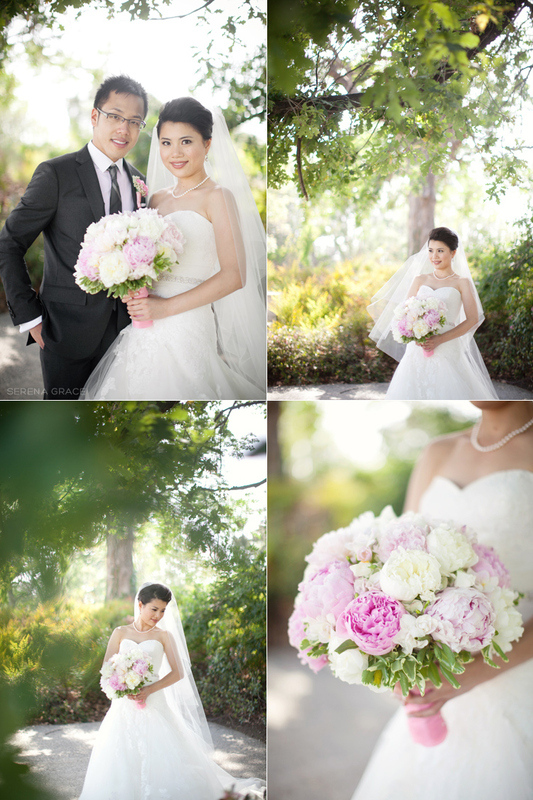 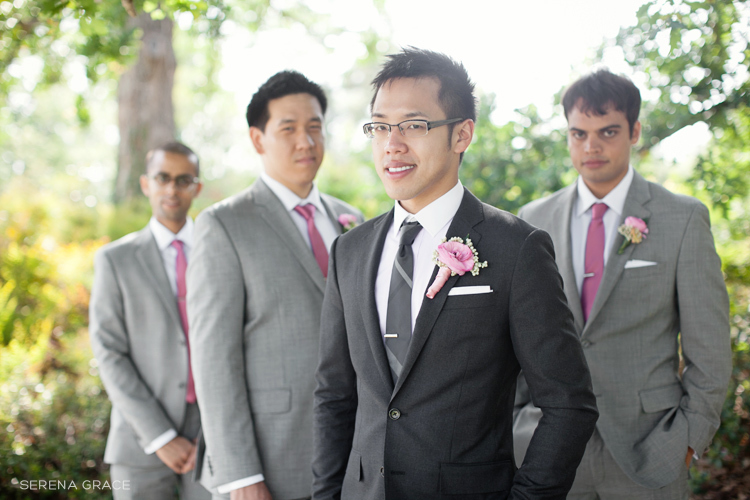 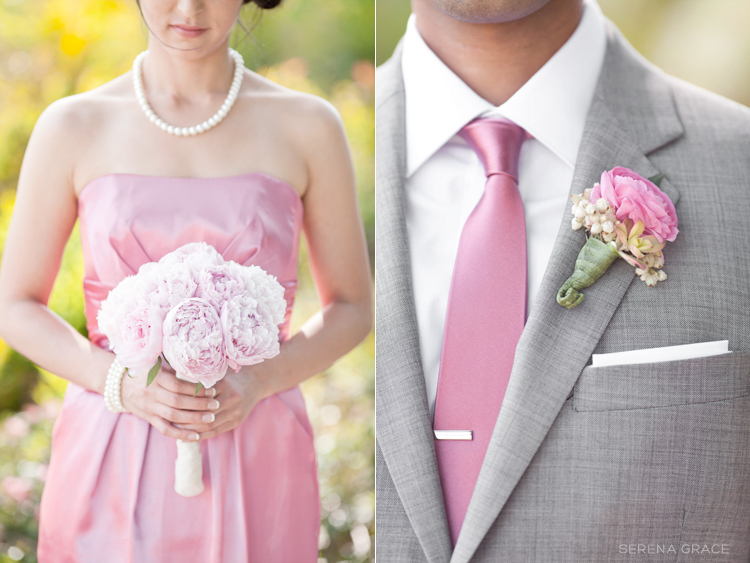 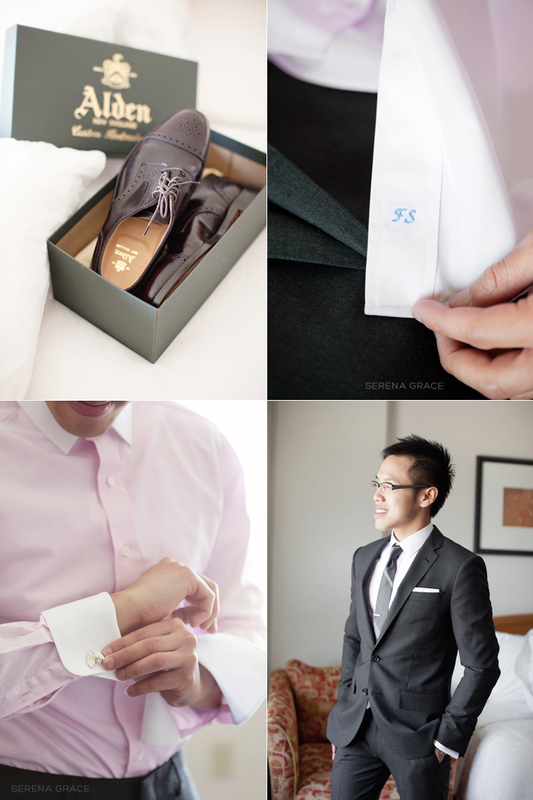 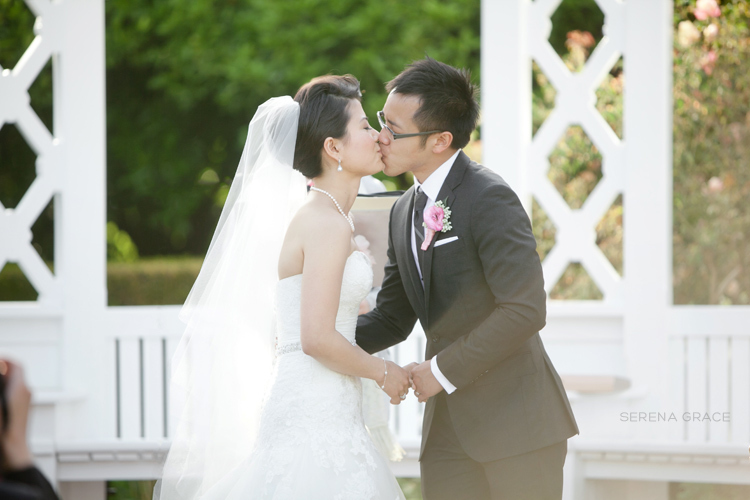 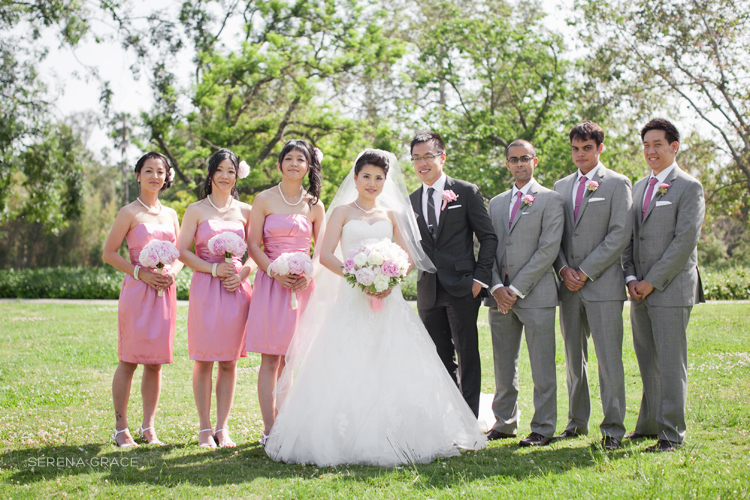 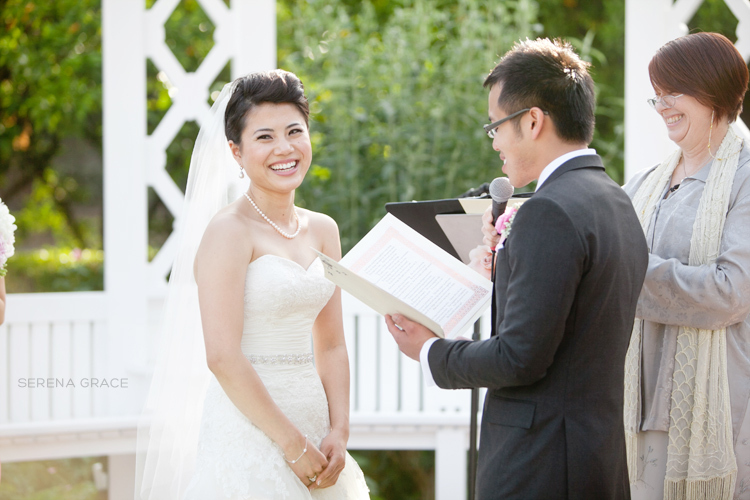 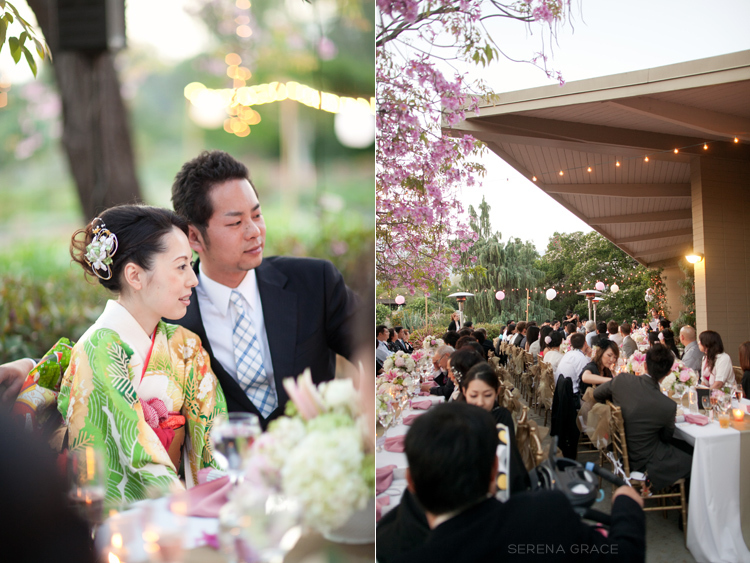 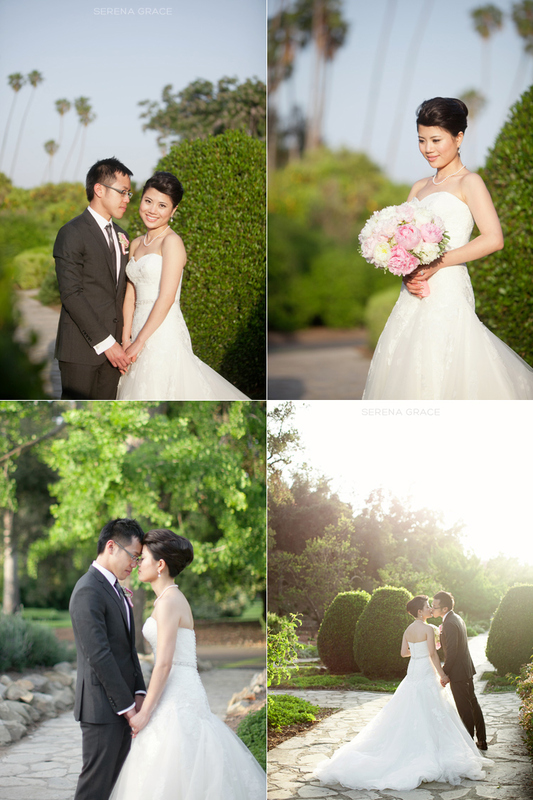 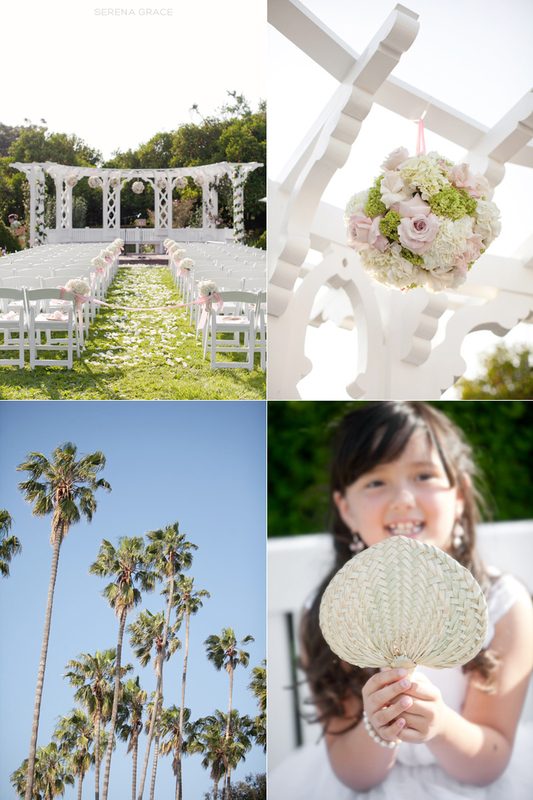 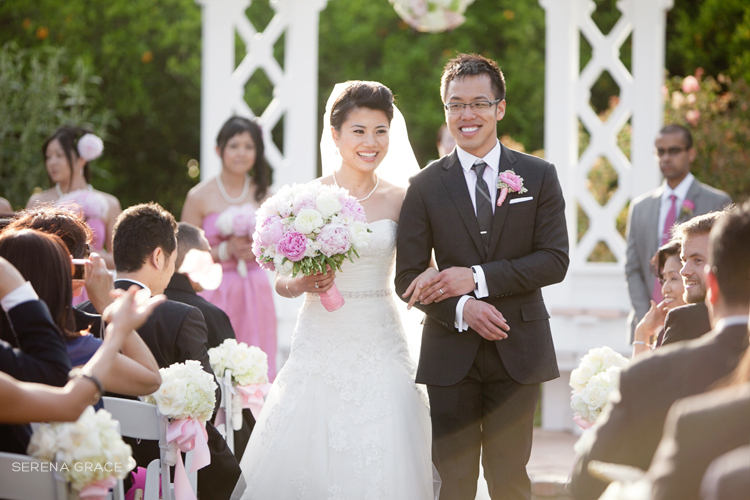 A long overdue post from Haruka & Felix’s gorgeous wedding at the Los Angeles County Arboretum and Botanic Gardens! 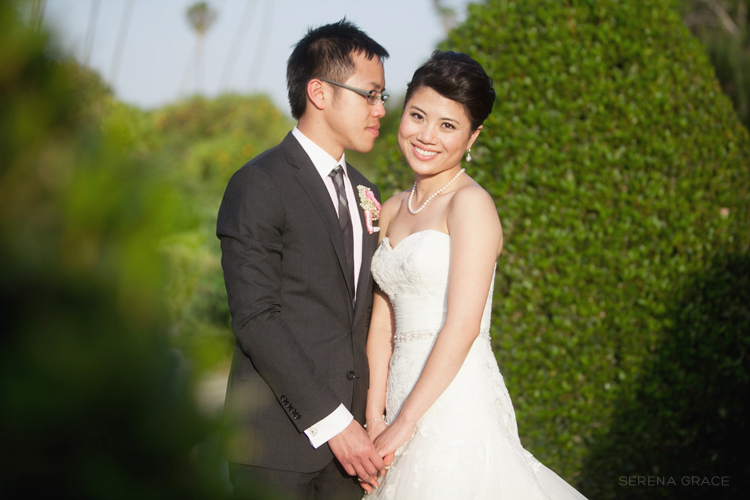 I had the pleasure of meeting and photographing this sweet couple when they first married in a private beach ceremony in Malibu. 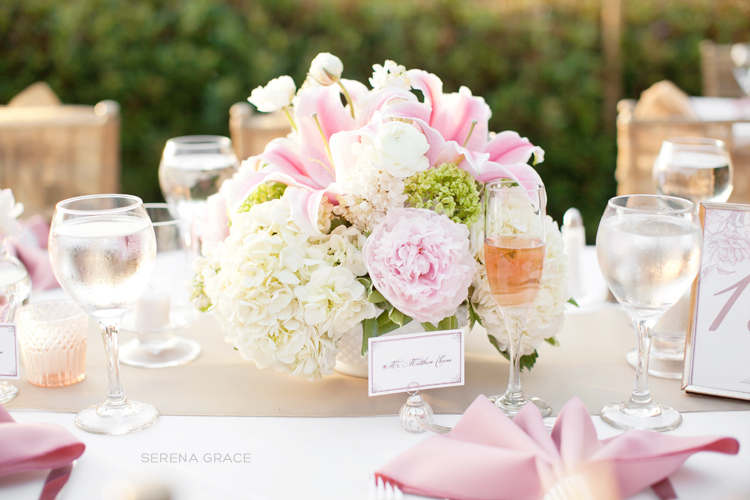 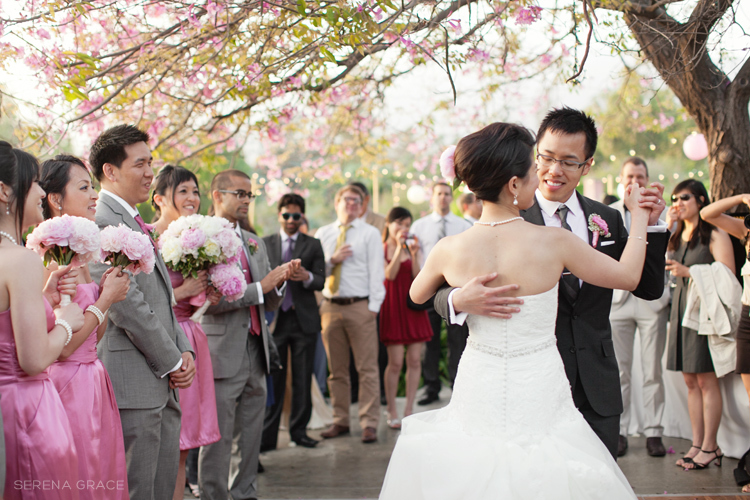 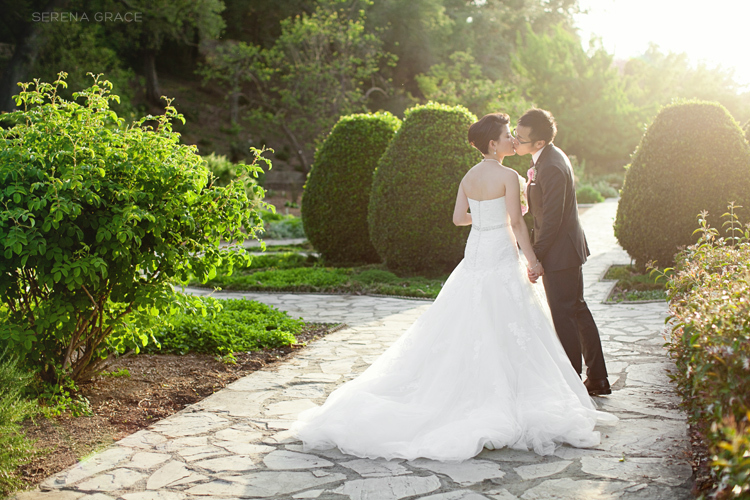 Several months later they followed up that intimate affair with a ceremony & reception for family and friends at the LA Arboretum. 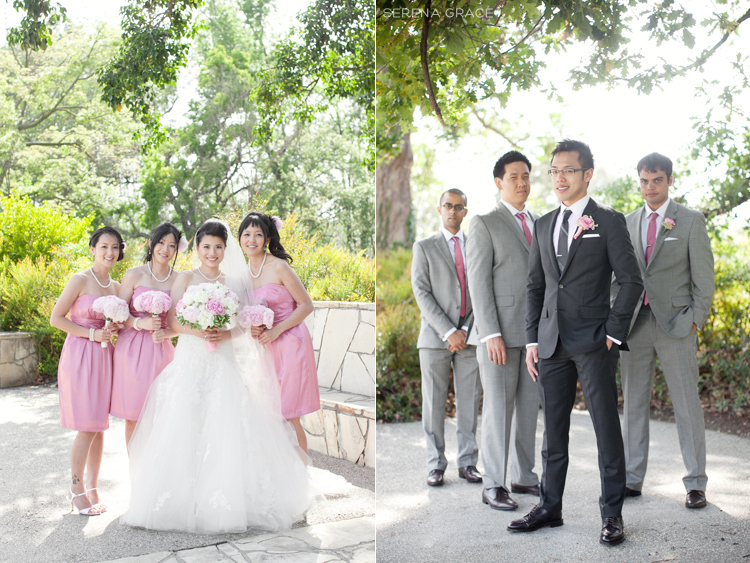 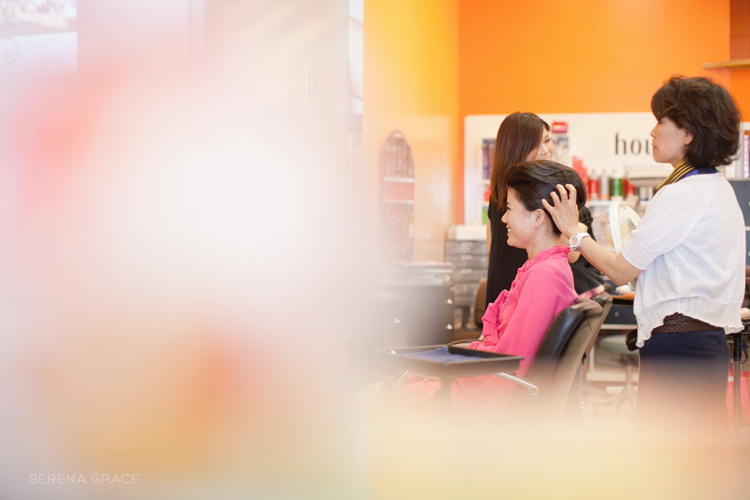 It was such a beautiful and well-styled day, with the guys starting the day off with a good old-fashioned barber shop shave at 18/8 in Pasadena and the girls looking pretty in pink! 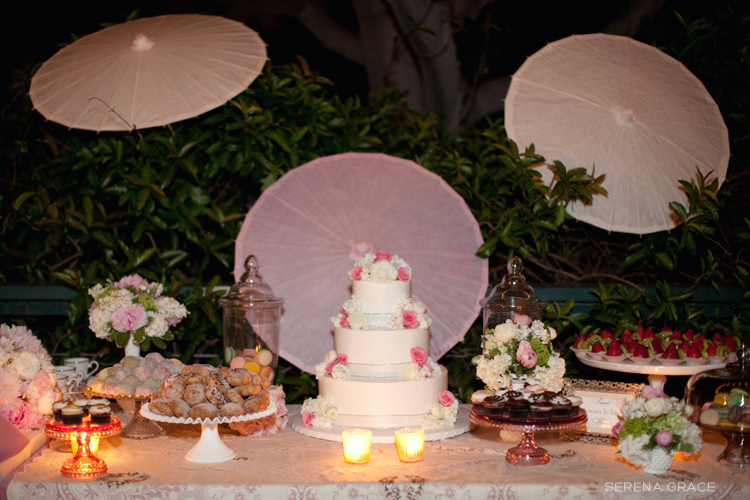 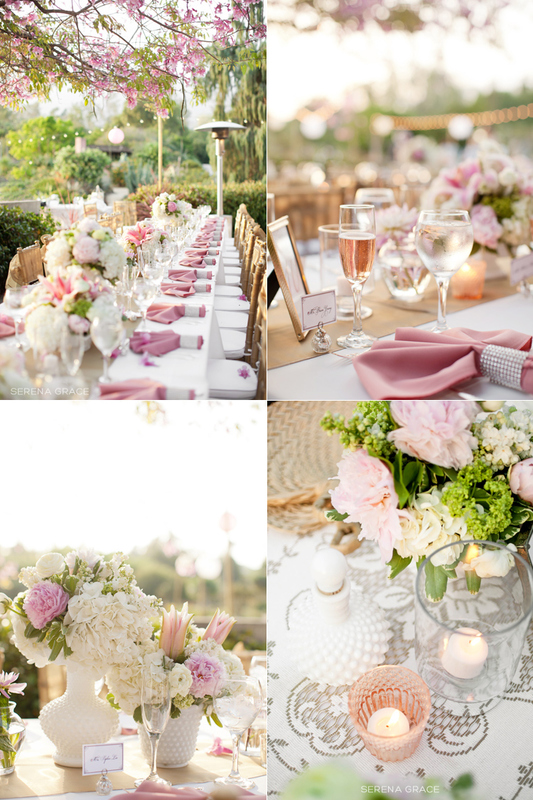 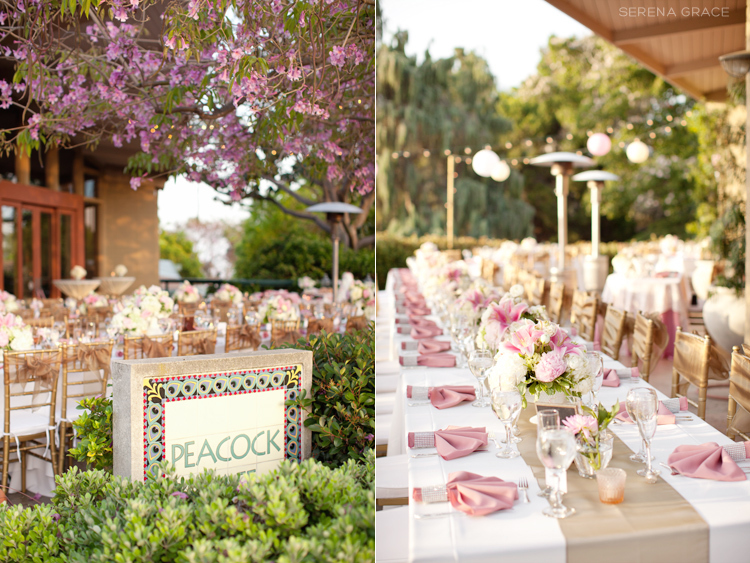 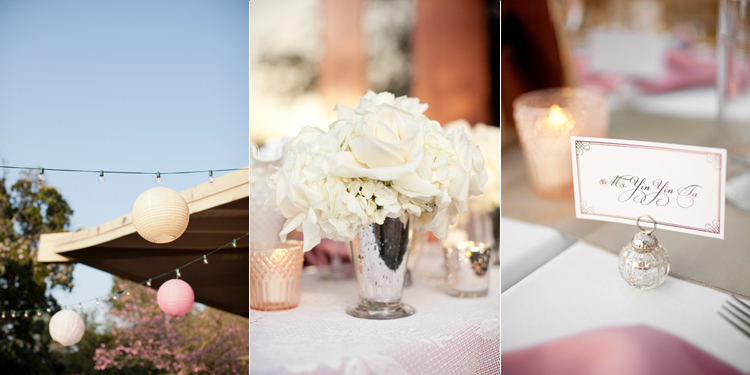 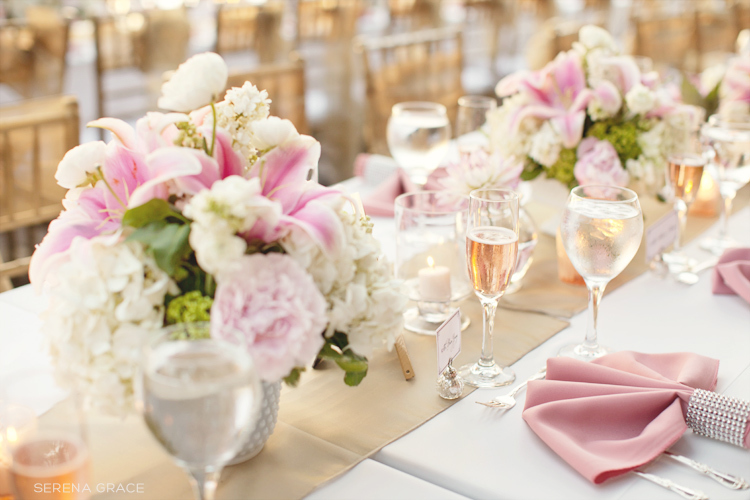 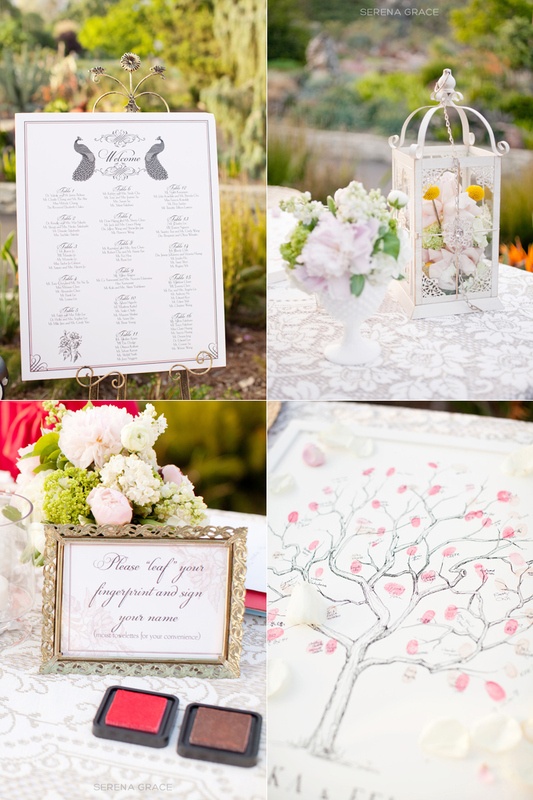 Their ceremony took place at the arboretum’s Rose Garden, and the blooming pink trees at the Peacock Cafe provided the perfect canopy for their candlelit outdoor reception!